Directed by Alister Grierson, the film Tiger stars Prem Singh, Janel Parrish, Michael Pugliese and Academy Award nominee Mickey Rourke. 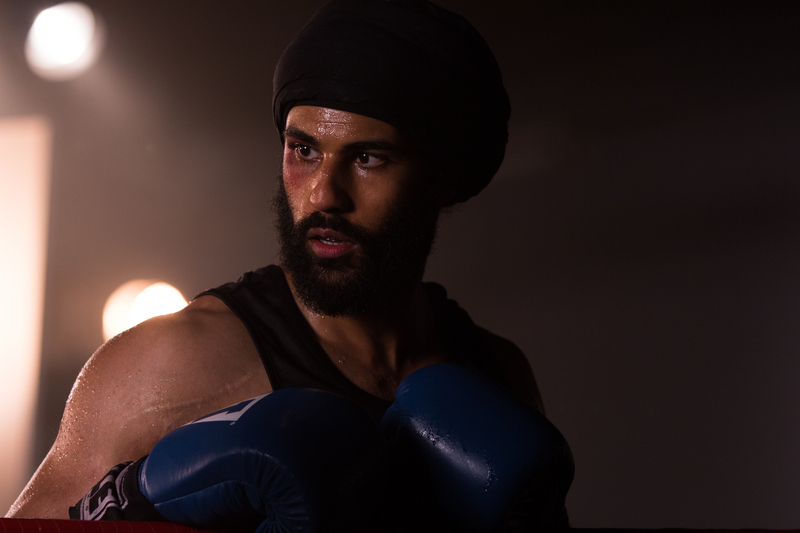 Tiger is inspired by the true story of Pardeep Singh Nagra, a practicing Sikh man who was banned from the sport of boxing due to his religious beliefs. The ban and the backlash he received is a result of racial profiling, stereotypical threats, and the daily pressure to change to fit a regulation and to conform. It is within the course of these challenges, and at his weakest moment, that he discovers love, who he is and to love himself and find his purpose. Consequently, his legacy will be forever tied to his two biggest battles – one in the courtroom, the other in the ring. This film completely immerses you and gets you involved into the fight of Pardeep Singh Nagra and will make you want him to triumph inside and outside the ring. I watched this as a screener and laughed out loud, teared up, screamed at the screen, covered my eyes and sat eagerly awaiting to find out what happened next. It is a rare a film that can do all that – Tiger is one of those movies. The way the film is shot in vignettes was an amazing way to tell the story. I did enjoy that, but the vignettes were so good and so well acted I wanted to see and know more. The only thing that seemed out of place were the grainy lined interview scenes which took you out of the story. You already saw who all of these characters were within the context of the film, so that was not needed. The use of light and dark was very interesting to me. One of the scenes that stood out is when Pardeep is talking with his coach (played by Mickey Rourke) and the sun light shines through windows in the gym and illuminates the mise-en-scène and what the coach is trying to tell him. It was a master stroke. The entire cast is wonderful and really keep you inside the story and living it with them. Marshall Manesh as Kulwant, Pardeep’s chaachaa, is so good. There is one speech he gives that is brilliantly delivered. He adds a wonderful and needed aspect to the story of the film. Janel Parrish was also wonderful as the lawyer Charlotte. From her quieter moments to fighting for the right in court, you felt what she felt. Such a great performance from a young actress. Prem Singh was very impressive. He wrote the film so he really had an inside look into this character and story and that showed. There were many moments where he was completely the role, you did not feel as if he was acting. The moments of anger, of training, of doubt and fighting with himself, his relationship and conversations with his coach were fabulously performed. Sometimes his eyes said so much and the scene in the bathroom and the scissors… outstanding. 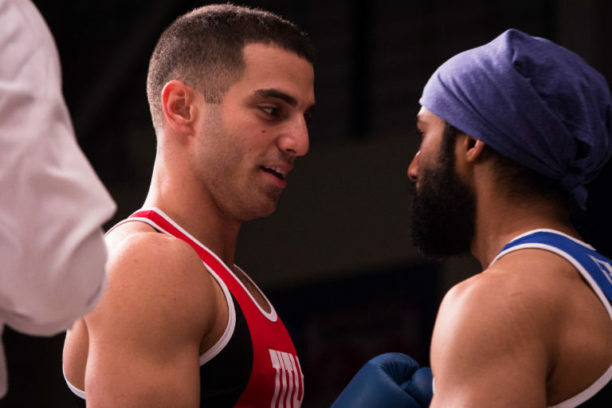 However, he could work on his delivery of his lines in the more everyday conversation and especially the interview scenes, where I felt he was playing a character not being Pardeep Singh Nagra. But he is still a new actor and leading man so that will come with time; he has a great future as an actor. 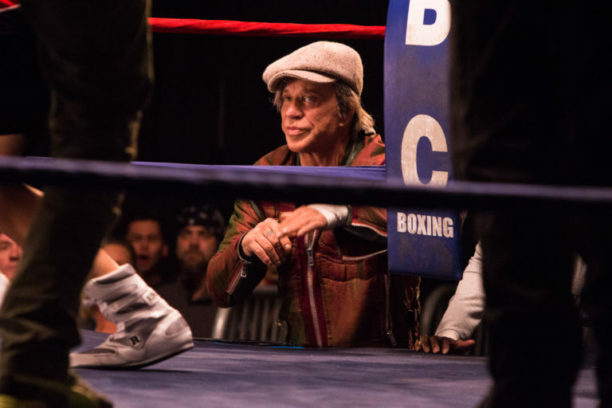 When it comes to a Mickey Rourke, you know whatever character he is playing, it is going to be an incredible performance where he completely elevates the film and embodies the soul of the character. Of course that happens in Tiger and you think he can’t get any better but then… There is this moment where he shares his story and you feel his pain, his frustration, and are so moved you are crying and it was just a little moment, a few seconds of dialog. I sat in awe of his performance. He truly is a genius. 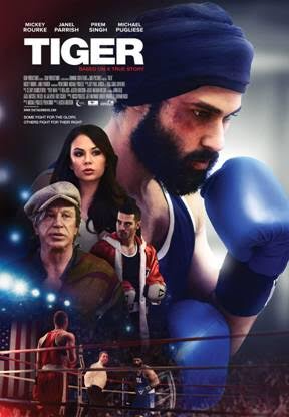 Now, the real Pardeep Singh Nagra was a boxer from Canada and fought in the ring and his case in 1999. This film transformed his story into a modern day tale set in Ohio and that actually makes the film even more important. Especially in the climate of the world and the US today because it relates an incredible story, teaches so much about the intolerance, racial profiling, finally acceptance, and in the end the crowds cheer the Punjab Tiger and so do we! Do not miss this film!